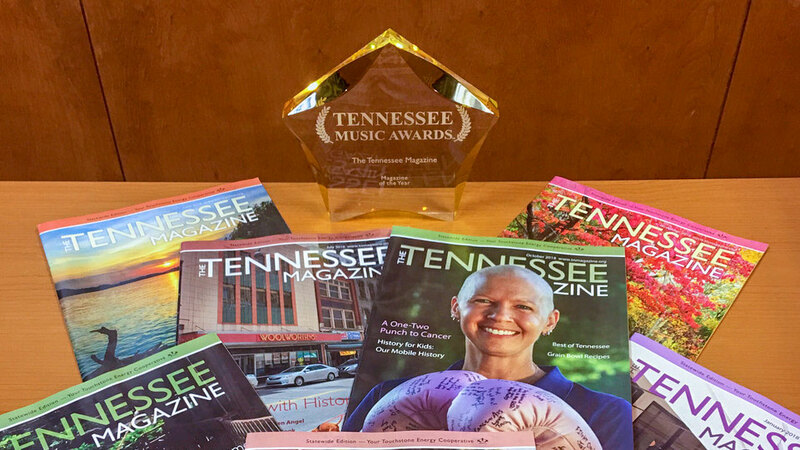 NASHVILLE – The Tennessee Magazine, the official publication of the Tennessee Electric Cooperative Association, was recently named Magazine of the Year by the Tennessee Music Awards. The Tennessee Music Awards honors independent artists and music professionals from across the state and highlights those working to advance and protect Tennessee’s unique musical heritage. The Tennessee Magazine “Celebrates the Best of Tennessee” – highlighting the unique, remarkable and beautiful aspects of the Volunteer State. For more than 50 years, The Tennessee Magazine has been placed in mailboxes across rural and suburban Tennessee. Published by the state’s rural electric cooperatives, the magazine reaches more than 2.1 million Tennesseans. Learn more at tnmagazine.org.